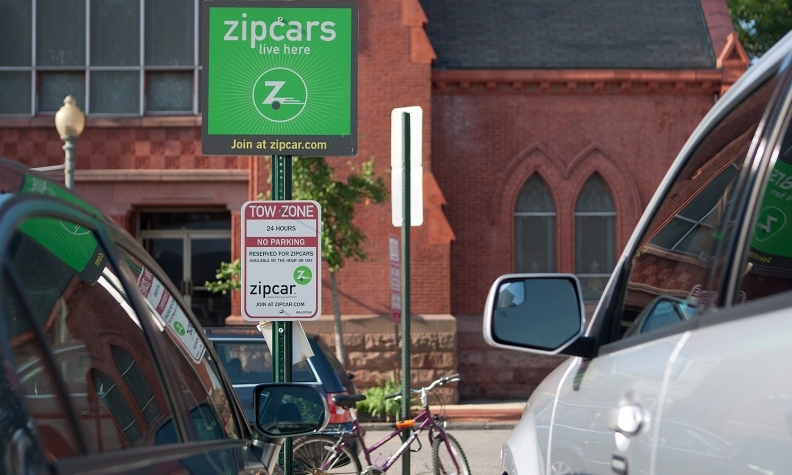 The report said 43 percent of respondents were aware of car-sharing services such as Zipcar, while just 7 percent used them. Americans prefer the freedom that comes with driving their own vehicles over using ride- and car-sharing services, a new study released today found. The study, commissioned by Kelley Blue Book, revealed large majorities of Americans consider owning their own vehicles safer, more convenient and more reliable than car- and ride-sharing services. It also found 76 percent of respondents who use sharing services said they intend to purchase or lease a vehicle within two years. The results throw into question the notion that sharing services are an imminent threat to vehicle ownership rates, KBB analyst Karl Brauer said. One-third of respondents found ride-sharing to be safe, while roughly half, 48 percent, said they would not use a ride-sharing service alone. Just 5 percent of respondents who do not own or lease a vehicle said using ride-sharing services is a reason why they had chosen not to purchase a vehicle, compared with 3 percent for car-sharing. Affordability was listed as the top reason for 57 percent of those respondents. Vehicle-sharing services are seen as a substitute for taxis by 41 percent of respondents, while 39 percent view them as replacements for rental cars. The study was conducted Aug. 3-9 by Vital Findings and surveyed about 1,900 U.S. residents.